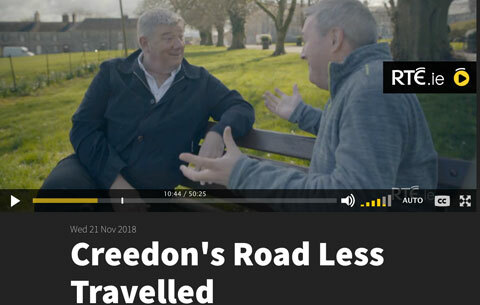 Shane Lehane, Course Director of Cultural & Heritage Studies features on RTÉ’s Creedon’s Road Less Travelled, broadcast this week. It's available on the RTÉ Player. Shane Lehane, Course Director of Cultural & Heritage Studies features on RTÉ’s Creedon’s Road Less Travelled, broadcast this week. It's available on the RTÉ Player. (https://www.rte.ie/…/creedons-road-less-travelled…/10966908/). Shane discusses with John Creedon the incredible story of Mick Meaney, a native of Mitchelstown, who broke the world record for being buried alive back in the 1968. His world record of 61 days was never officially recognised but Mick is fondly remembered by family and friends in Mitchelstown some 50 years later.